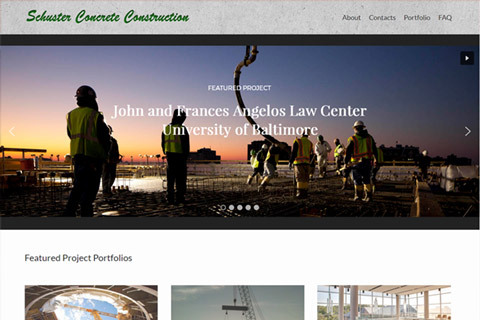 Established in 1997 by Greg Susman (formerly a vice-president and construction manager for a luxury custom home builder in Maryland) GS Design, Inc. is a web design and development company located in Northern Baltimore County, MD. We work with small business owners, non-profit organizations, entrepreneurs, marketing & communications managers, website designers, hosting companies, software developers, and IT professionals to develop practical, unique, cost effective, web-based marketing plans and user-friendly websites, which rank well in search engines and accurately reflect the needs and goals of the people and businesses they represent. The best Web designers need to balance the creative aspects of visual imagery, written text, digital photography, graphic design, and the ever-changing technical 'standards' of competing technologies, with the amazing complexity of human nature to produce engaging and interactive websites that appeal to a specific audience. With more than 20 years of practical experience designing one-of-a-kind custom websites for a diverse group of clients around the world, we think our work is pretty darn good... but you should judge for yourself. You are cordially invited to browse our work portfolio, visit our client's web sites, and use the contact link in the menu bar at the top of this page to send a message or give us a phone call to discuss your web presence needs. The age-old saying that “you never get a second change to make a good first impression” is especially relevant when it pertains to your website, where a potential customer’s first impression of you or your business may develop in 6 seconds or less – of course, that assumes that new customers or potential clients actually find your website during their Internet search. 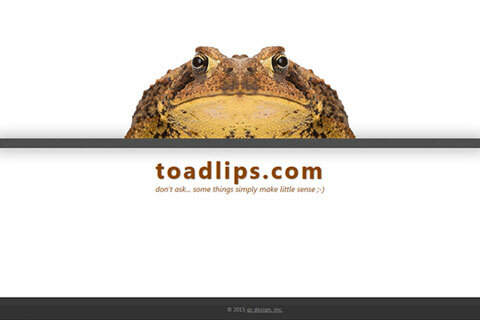 With a 21-year history of producing unique and award-winning websites, we take pride in our ability to evaluate search terms, write effective copy, create engaging images, and produce page layouts and menu structures that are easy for human visitors to navigate while optimizing the underlying page code for search engines and web browsers. 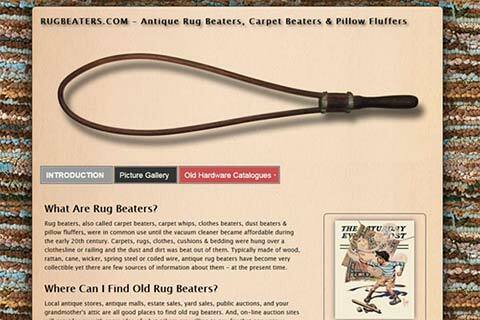 Here is a sampling of websites created by gs design,inc. in partnership with some very talented people at their respective organizations. A business management company that provides administration, finance, human resources, payroll, safety, and technology services. 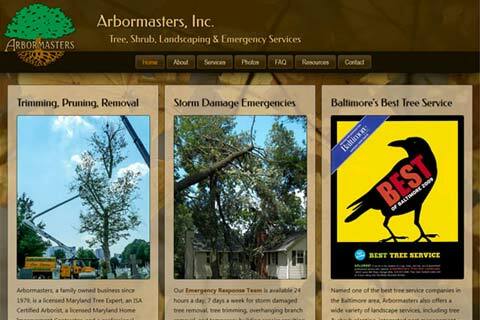 A family owned tree, shrub, landscape and emergency services company serving Baltimore City, Baltimore County, Carroll County and Howard County since 1979. 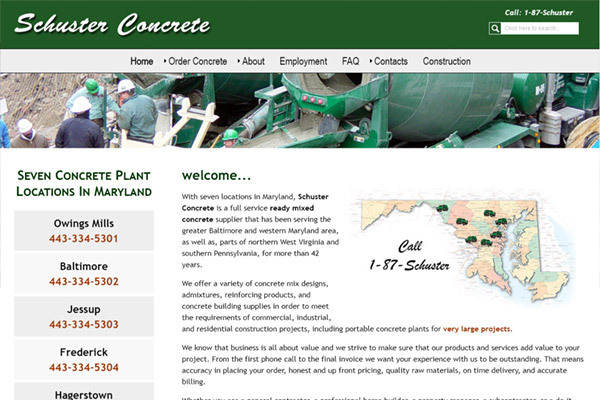 Schuster Concrete is a full service concrete manufacturer & supplier with 7 locations serving greater Baltimore, western Maryland, part of West Virginia & southern PA. 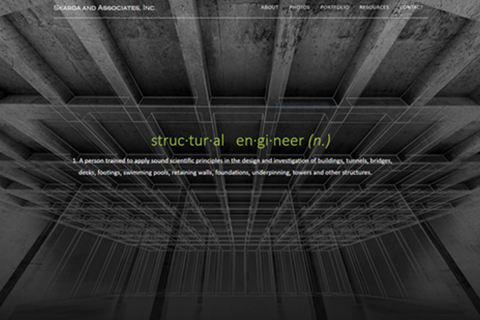 Structural Engineers & Engineering Design Consultants based in Baltimore, MD. 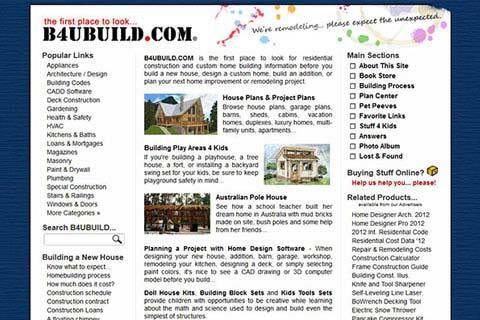 Their site was recently updated to a mobile friendly design using WordPress. 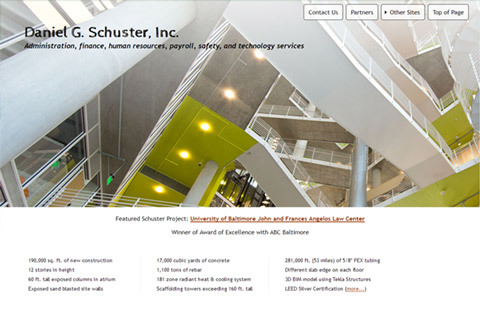 Schuster Concrete Construction is an award winning, commercial construction company, with multi-million dollar projects in MD, VA, Delaware & PA. Their new responsive site is in production. 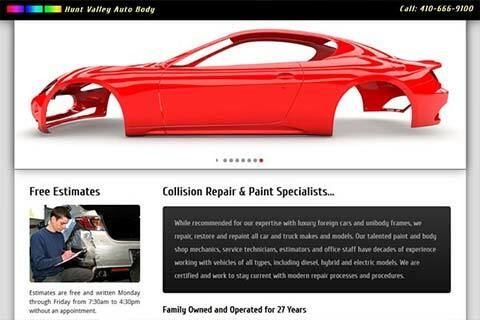 Car & truck collision repair, body shop, paint shop and unibody frame specialists in Baltimore County. 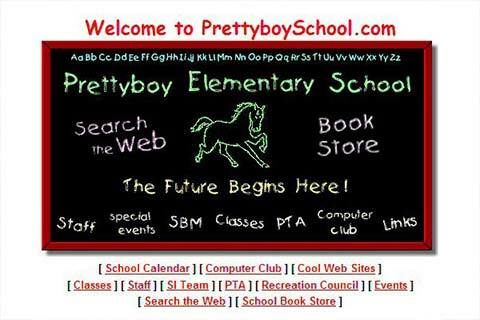 Their single page site is mobile friendly and to the point. 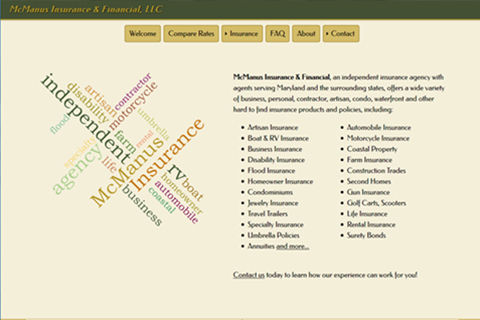 Local Independent Insurance Agents offering a wide array of insurance policies and specialty coverage to clients in Maryland, Pennsylvania, Delaware, Virginia and West Virginia. 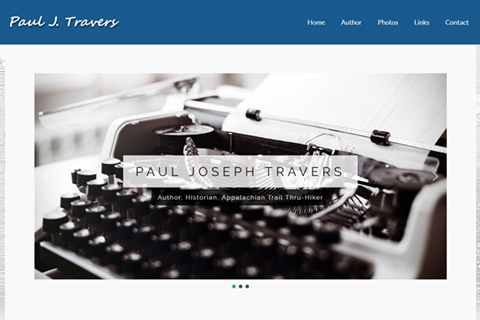 Author, Historian, Appalachian Trail Thru-Hiker who's books include 'The Patapsco: Baltimore’s River of History', 'Eyewitness To Infamy: An Oral History of Pearl Harbor' and 'The Cowgirl and The Colts'. 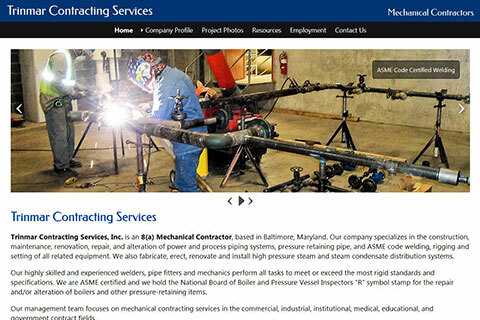 Mechanical Contractors specializing in construction, maintenance and repair of process piping systems, pressure retaining pipe, and ASME code welding and related equipment. 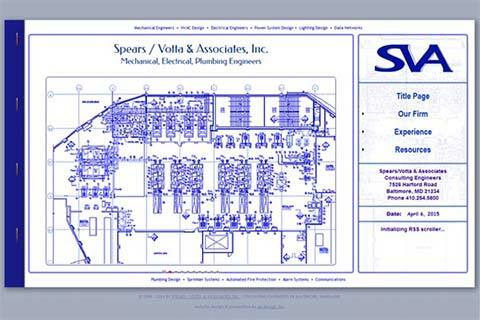 Consulting engineering firm specializing in the evaluation and design of Mechanical/Electrical/Plumbing (M/E/P), fire protection, data networks and telecommunications systems. 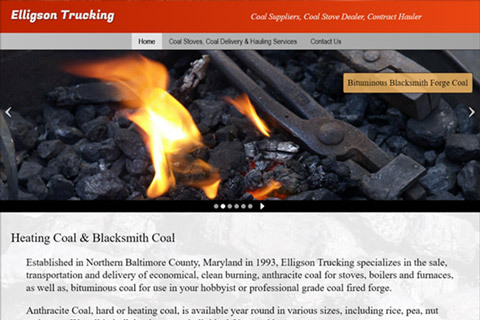 Wondering where to find coal for your coal burning stove or coil fired forge? This company in Northern Baltimore County delivers anthracite coal, bituminous 'Blacksmith' coal, and they provide private & contract hauling services. 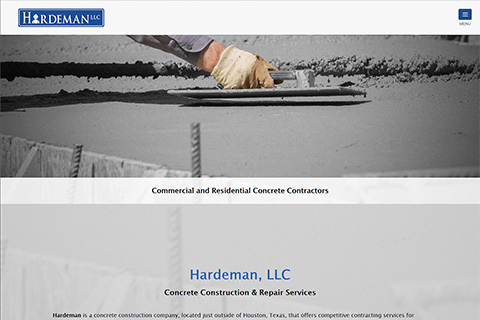 Hardeman is a concrete construction company, located near Houston, Texas that offers a wide variety of concrete place and finish contracting services. They specialize in new construction, formwork, renovation, concrete removal and concrete repair. 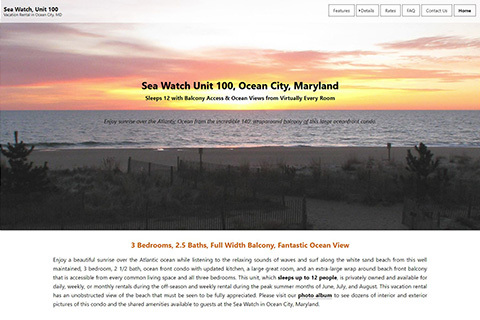 This 3 bedroom, 2 1/2 bath, ocean front rental property is located at the Sea Watch in Ocean City, MD. The unit sleeps 12 and features an extra large, full-width, wrap around beach front balcony that is accessible from almost every room in the condo. 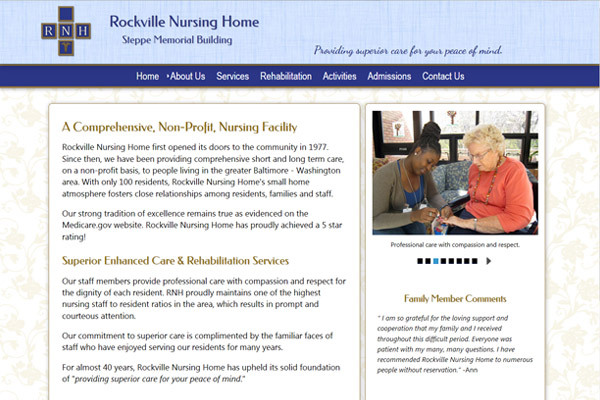 This non-profit nursing facility in Montgomery County, MD near Washington, DC, provides short and long term care, rehabilitation services, respite care, hospice and palliative care in a comfortable small home atmosphere. 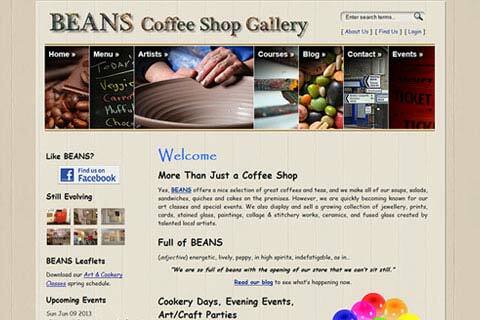 BEANS Coffee Shop, Art Gallery, Local Artist Workshop and Art Classes in Bolsover, in the Peak District of Derbyshire, England was developed with Wordpress to allow the owners to update the site themselves. The business was sold in 2017. 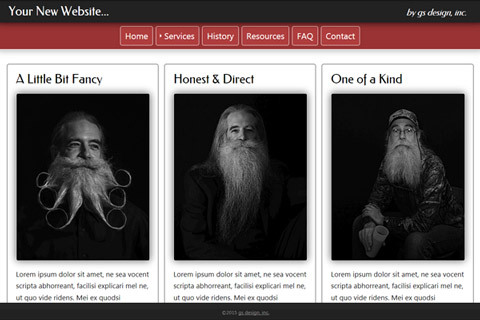 This is an experimental development site used for testing new ideas, proposed HTML & CSS code, Word Press themes and plug-ins. It was named after one of the silly sayings we used to call each other in high school... many years ago. Your website should tell your story as quickly as possible. It should grab one's attention and encourage visitors to explore the content being offered so they learn about you, your business, and the products or services that you offer. That is exactly what we do - create unique, engaging, user-friendly and cost effective websites, which meet the needs and goals of our clients and quickly become highly ranked in applicable search results. copyright © 1998 - 2019 gs design, inc.